Blog Is Big Data the Next Big Step for Health Care? Is Big Data the Next Big Step for Health Care? As the force that is “Big Data” revolutionizes everything from government to grocery stores, it presents huge potential for the healthcare sector to study the massive amount of healthcare data that grows each day. Many industries have already taken advantage of the power of big data, such as research, politics, and the private sector, and as private and public initiatives in the healthcare system advance, so too will unique applications of big data to the health sector. Physician reimbursement, treatment outcomes, and public health models are just a few areas that stand to improve from analyzing the numbers behind healthcare in the US and around the world. Unfortunately, the challenge of aggregating all of this data impedes the evolution of big data in healthcare. Overcoming these challenges is a work in progress, but the benefits of big data in healthcare will reveal themselves in time. The reduction of health care costs through big data analysis is a major goal for both public and private interests. As it stands, healthcare costs represent about 18% of US GDP (compared to under 12% and 10% for Canada and the UK, respectively) and medical procedures in the US are notoriously expensive relative to their peers in the developed world. One way big data can alleviate high costs is by enabling the study of recipient demographics and outcomes. This will hopefully help the providers choose treatment options that provide the best care per dollar. The federal government’s release of a massive Medicare reimbursement dataset, done under the auspices of improving transparency and allowing consumers to make more informed decisions, has been praised and opposed in equal measure by two opposing schools of thought. Some believe data transparency will provide fitting solutions, while others posit numbers don’t tell the whole truth . One tradeoff surrounds the identification of overly expensive procedures and doctors. Though such an analysis could lower costs, it sacrifices physician privacy. One further criticism of the Medicare dataset surrounds the occasional absence of data about hospital readmission. Some have noted that inclusion of such data would allow providers to predict and flag patients with a high potential for readmission through analysis of historical patient records . This would hopefully result in an efficiency-boosting shift of resources to ensure proper treatment and monitoring after discharge. Additionally, the shift in payment schemes to prioritize outcomes (paying based on quality of care) over fee-for-service charges (paying for all services, regardless of quality) will incentivize providers to use data analytics to identify what treatments are most likely to be successful in unique cases . With all of the emphasis on costs, however, it is easy to overlook improving the main goal of health care: patient care. Big data, once it clears logistical hurdles regarding access, has the potential to play a vital role in improving outcomes by analyzing historical evidence for how certain groups of patients react to certain treatments. Newly formed tech company Flatiron Health is working to use data in the fight against cancer . With only about 4% of current cancer treatment data being aggregated, the Flatiron founders hope to collect and organize much of the millions of remaining cases. This collection can be studied for trends, relationships between metrics, and outcomes and used to help physicians make decisions on what treatments to offer certain patients, identify cost-effective options, and connect patients with clinical trials to advance the development of new medicines. While Flatiron is focused on cancer, similar strategies can be employed for other illnesses. The wealth of knowledge that is possible from big data advancement in health care provides ample opportunities to improve quality and outcomes of patient care. With all of the aforementioned benefits, why hasn’t the healthcare field taken full advantage of all that big data has to offer? Health care has lagged behind other sectors in exploiting big data for several major reasons. One of the main concerns is about privacy as it relates to medical records. Although data can be de-identified (by removing names and some other personal information), in order for data to be useful it must contain some amount of identifiable material. Both public and private efforts in healthcare big data must take great care to maintain high levels of security and privacy when it comes to handling patient information. Another issue is the availability of electronic material. While the modern world seems to be entirely digital, analytics companies face troves of data in non-digital formats. Despite recent movement toward electronic medical records (EMRs), the major obstacle to big data in health care is aggregating all of the information that exists in other forms such as written reports, audio recordings, and faxes, in addition to the lack of consistent formatting. Take this example from Flatiron Health: “When it came to measuring the level of a single protein — albumin, commonly tested in cancer patients—a single EMR from a single cancer clinic showed results in more than 30 different formats” . This is just one example among hundreds of metrics, all measured across an extensive network of cancer centers using any number of electronic and non-electronic record formats. While efforts are being taken to develop computational techniques to read and organize the data that exists in EMRs, the challenge of consolidating the other record forms still exists. Future ventures will face this lack of uniformity in addition to strict regulations and concerns about medical data, which pose significant challenges to the use of big data in healthcare. Big data has lofty goals, and to make efforts worthwhile will require corporations and people to use information for the greater good in a field where huge sums of money are at stake. Big data in healthcare is advancing, and despite the obstacles that still remain there is great potential to revolutionize the way we treat and care for people. There are signs of progress – health care is picking up traction as a priority in the startup and tech worlds, where new ideas seem to be born every day, and physicians are supporting the efforts that will help them improve quality of care. Big data is an enticing solution to today’s healthcare dilemmas, but not necessarily a panacea, and only time will tell what benefits will come. The New Yorker. 2014. “What Big Data Can’t Tell Us About Health Care.” April 23, 2014. http://www.newyorker.com/business/currency/what-big-data-cant-tell-us-about-health-care. Bates, Saria, Ohno-Machado, Shah, and Gabriel Escobar. 2014. “Big Data in Health Care: Using Analytics to Identify and Manage High-Risk and High-Cost Patients.” Health Affairs, 33, no.7 (2014):1123-1131. http://content.healthaffairs.org/content/33/7/1123.full.pdf+html. Kayyali, Knott, and Steve Van Kuiken. McKinsey & Company. 2014. 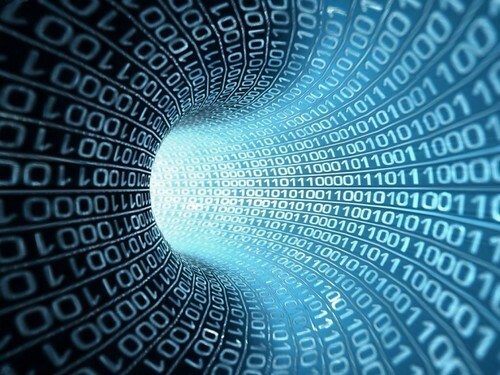 “The Big-Data Revolution in US Health Care: Accelerating Value and Innovation.” April 2013. http://www.mckinsey.com/insights/health_systems_and_services/the_big-data_revolution_in_us_health_care. Miguel Helft. 2014. “Can Big Data Cure Cancer?” Fortune, July 24. http://fortune.com/2014/07/24/can-big-data-cure-cancer/. Accessed March 22, 2015. https://farm8.staticflickr.com/7213/6914441342_605f947885.jpg. Salman Arif is a first-year student at the University of Chicago. Follow The Triple Helix Online on Twitter and join us on Facebook.